EgyptAir is no longer in crisis mode. 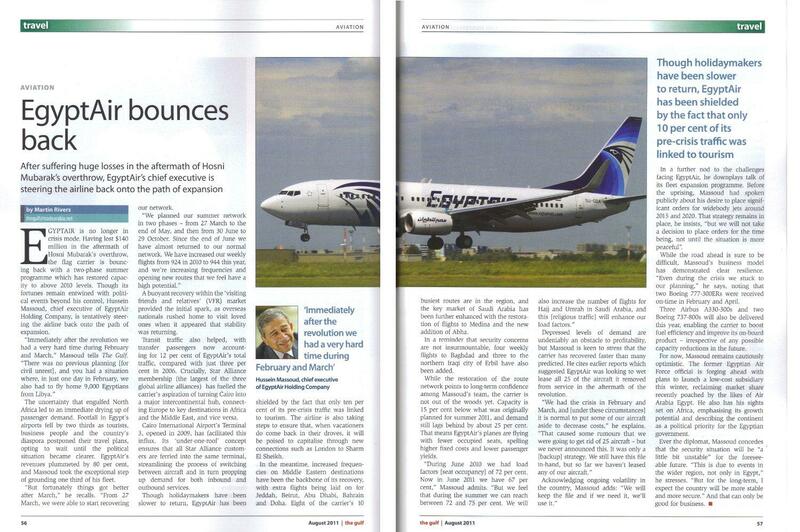 Having lost $140 million in the aftermath of Hosni Mubarak’s overthrow, the flag carrier is bouncing back with a two-phase summer programme which has restored capacity to above 2010 levels. Though its fortunes remain entwined with political events beyond his control, Hussein Massoud, chief executive of EgyptAir Holding Company, is tentatively steering the airline back onto the path of expansion.